From the Americas to Asia, there are many wonders in the world that are best explored on a bike. On a bike, you can experience the challenge of scaling up a steep mountainside and the thrill of speeding down a slope. You can visit and explore scenic spots with energy to spare for more. You can go to places that cars and other vehicles can’t reach. It takes skill and experience to explore exciting destinations on your bike. First, you should improve your cycling performance through training and monitoring your progress through certain tools, like power meters and fitness trackers. Only when you’re trained and ready will you be able to enjoy exploring these top five gorgeous biking destinations in the world. Kingdom Trails, Harrington Ridge, Pine Hill Park—Vermont has several beautiful destinations for bikers and nature lovers alike. This US state is famous for its natural landscape, which is covered with sprawling mountains and forests in every direction. In the northeastern part of the state are the rocky Northeast Highlands while in the center rise the well-known Green Mountains. 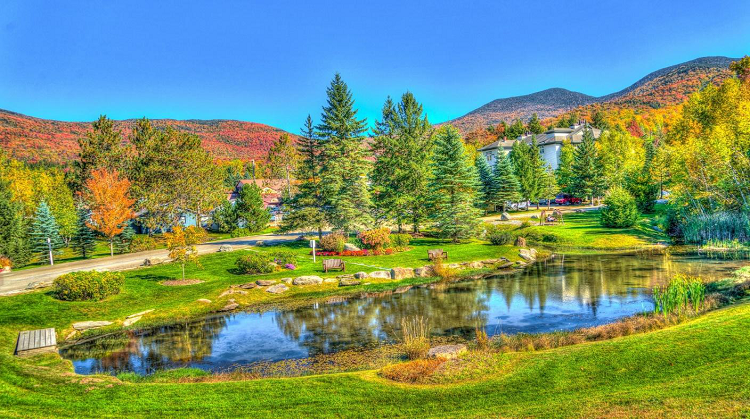 In the southwestern part, you can find the Taconic Mountains, as well as lakes and streams. Flanked by the Taconic and Green Mountains is the Vermont Valle in the west, which is famous for its rivers and valleys. From mountains and valleys to rivers and lakes, there are countless things to see and explore in Vermont. That’s why it’s one of the top destinations for outdoor enthusiasts, especially mountain bikers. The Andes Mountains, which are “the longest mountain chain in the world,” are found in South America, stretching across Argentina, Chile, Peru, Bolivia, Venezuela, Colombia, and Ecuador. Peru is home to the central Andes. The mountains stretch throughout Peru, from north to south, which is why the country is a favorite travel destination among hikers, mountain bikers, and other outdoor enthusiasts. The Peruvian Andes is also where you can find the largest concentration of snow peaks in all the Americas. The world-famous Machu Picchu, an Inca citadel built in the 15th century, sits on a mountain range in the Eastern Cordillera of southern Peru. On a bike, you can pass through the scenic Inca Jungle Trail to visit Machu Picchu. Along the way, you will also see numerous ancient settlements and witness Peru’s rich flora and fauna. The island of Bali in Indonesia is well-known for its rich historical destinations, which include ancient temples and palaces located amid a gorgeous natural backdrop. Bali combines the best of the natural world. The island is home to both amazing landmarks and stunning bodies of water, with imposing mountains and volcanoes, sprawling jungles, and breathtaking seascapes. The abundance of natural trails and scenic views in Bali makes it one of the top biking destinations in the world. There are various adventure trails for bikers of all levels. You can ride through palaces and rice terraces, atop volcanoes and summits, and down to gleaming waters and witness the wonders of Bali. If you’re looking for more than just picturesque views and exciting trails, Finale Ligure in Italy offers both and a complete cultural experience for all kinds of travelers. Mesmerizing sapphire blue waters? Check! Amazing gastronomic creations? Check! Historical locations? Check! Charming countryside and villages? Check! In Finale Ligure, you can go from high in Monte Carmo di Laono to low along the shores of the Mediterranean. You can take breaks and enjoy some gelato, artisan pecorino cheese, or espresso and take in the charms of this small Italian Riviera town. Ifugao is a province in the Philippines, located in the remote areas of the Cordillera mountain range. Within the province, you can find the UNESCO World Heritage Site, the Rice Terraces of the Philippine Cordilleras, which have existed since more than 2,000 years ago. The quiet, sleepy towns of Ifugao are the perfect destination for travelers who want to get away from the noise and distractions of the city. The mountainous landscape, covered in rice paddies and vegetation, provide enough challenge and excitement even for the most adventurous mountain bikers. Ifugao is a gateway to the other provinces, such as the Mountain Province and Kalinga, in the Cordillera Administrative Region, which are also popular destinations for outdoor fans. Some places are better appreciated when you go beyond their popular cities and urban settlements. The five destinations listed above are perfect examples of these places. Each destination boasts of stunning sprawling forests, awe-inspiring mountains, and adventurous trails, which can only be truly appreciated and experienced by getting on your bike to explore every hidden wonders of the landscape. If you’re a biker, it’s a must to visit these beautiful destinations. Cost is Now the Leading Reason for Quitting Smoking!